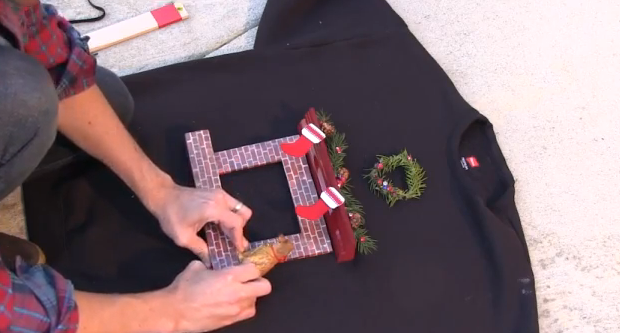 Mark Rober, the creative force behind the Scooby Doo style picture frame surveillance camera and the Digital Dudz animated Halloween costumes, has now created a video that shows you how to make an ugly Christmas sweater with an iPad. 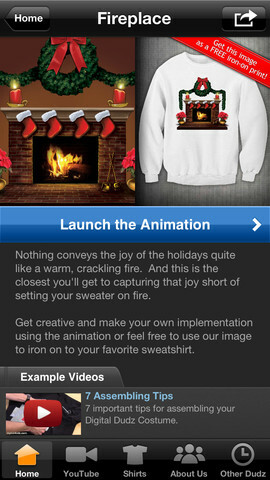 He cuts up a sweatshirt, adds a handcrafted fireplace and places the iPad with the burning fire animation behind it. The animation is available from Digital Dudz at iTunes.